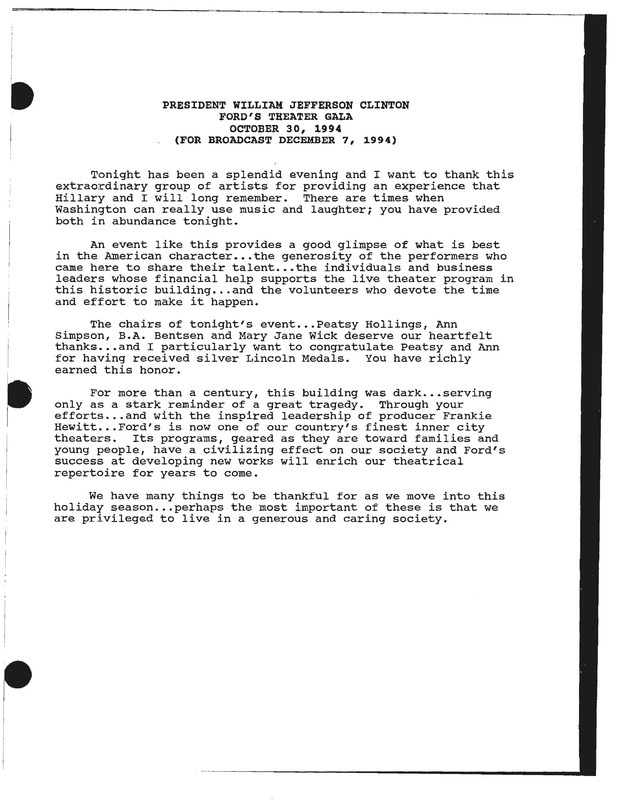 The documents highlighted here are in honor of the birthday (December 5, 1932) of Little Richard (Richard Wayne Penniman), a legendary performer who must be considered one of the founders of rock 'n' roll. 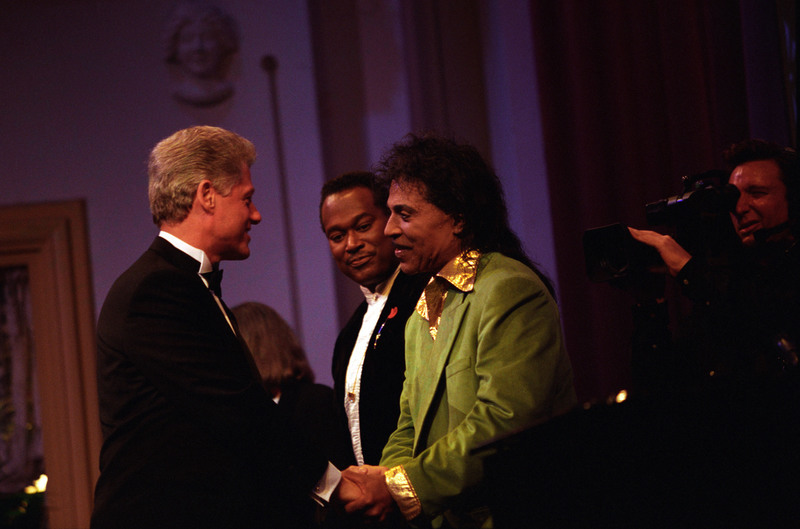 Little Richard is seen in a photograph with President Clinton in a White House reception prior to his taking the stage at Ford’s Theatre. 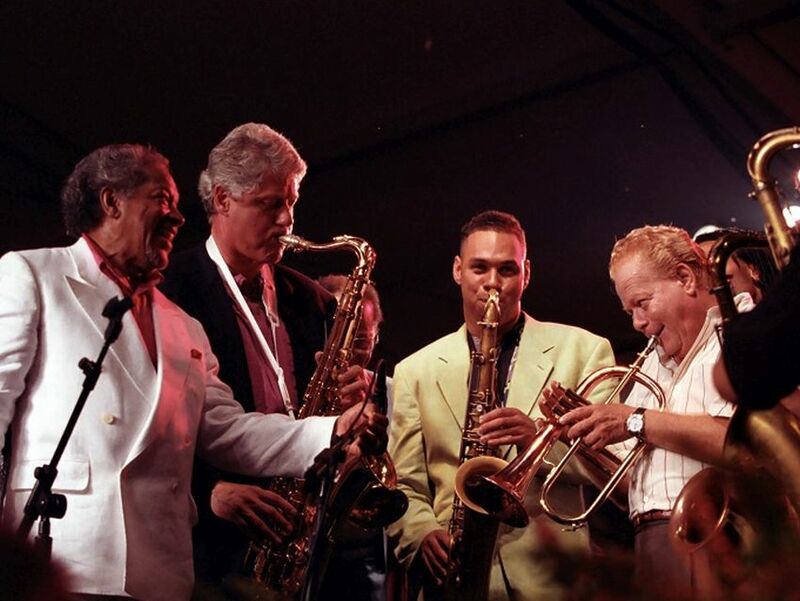 Called “A Festival at Ford’s,” the gala, held on October 30, 1994 featured a number of famous guests as seen on the President’s schedule displayed here.